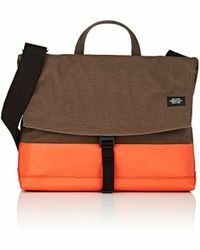 The origins of the Jack Spade brand lie in the determination of the designers to produce bags that were functional but not dull, stylish but not pretentious. 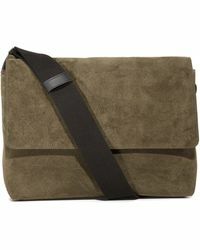 This they achieved from the very first bag which was a waxed cotton messenger design that was sold through hardware stores. 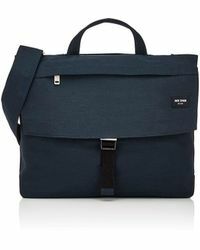 Since then the range of bags has expanded to include luggage and the brand has also develop clothing lines for both men and women. 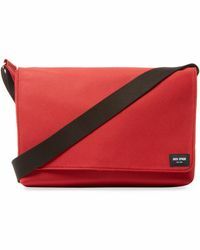 In the selection of messenger styles from Jack Spade you'll find the original wax wear designs that began the label, as well as updated versions that incorporate colour-block canvas and vintage style leather. 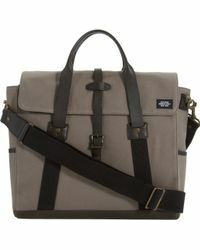 A range of sizes, colours and different prints on both the inside and outside of the bags ensure the range feels individual and unique. 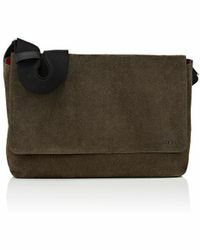 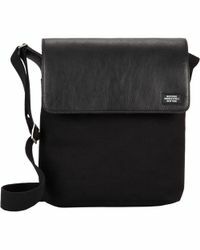 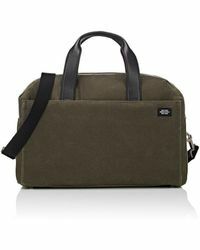 Showing 77 results for "Men's Jack Spade Messenger"